This month, Finance Minister Joe Oliver announced that Canada’s eight largest banks have pledged to provide consumers with more information and disclosures on collateral mortgages, joint accounts and power of attorney. Collateral mortgages are somewhat controversial in that they cannot be easily transferred to other banks at renewal time without incurring fees, which can often amount to thousands of dollars. 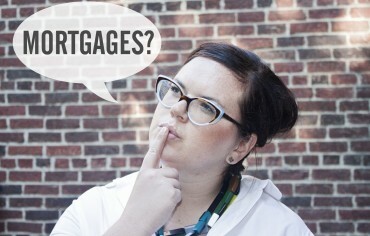 Most lenders in Canada offer collateral mortgages as an option, but two of the big banks only offer collateral mortgages: TD Bank and Tangerine (formerly ING DIRECT Canada). It’s scary to think that some borrowers may not be given an explanation of the difference between the two mortgages, or, even worse, may not be informed they are signing up for a collateral mortgage at all! The eight banks have also agreed to disclose more information about joint accounts and power of attorney, especially as they relate to seniors. Many seniors grant relatives joint accounts or power of attorney privileges, leaving them vulnerable to theft or abuse. According to CBC News, the banks have committed to post educational information online, put up posters in branches, and train bank employees on how to explain the implications of these products to customers. Still, being a voluntary policy with no tangible guidelines, it’s unclear how this will play out in practice. Any implementation – which would likely amount to 5-10% of a mortgage – would not happen for some time yet. Currently, CMHC mortgage insurance is purchased directly by borrowers with less than a 20% down payment, and protects Canadian lenders against mortgage default. Peter Routledge, an analyst with National Bank Financial, rationed the move could translate to higher mortgage rates. The changes would drive up the costs for the banks because they would have to keep more capital on hand. Furthermore, investors who purchase securitized mortgages would also demand higher rates, as the risk of lenders bearing the cost of mortgage default would also increase. 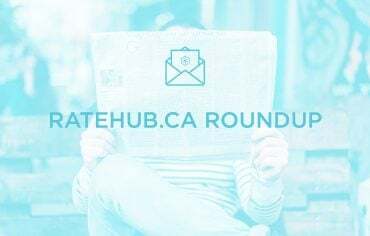 Beyond just launching the new site design, we’ve had a lot going on at Ratehub.ca recently! We moved offices (and are now in a very tech-friendly, brick-and-beam downtown office), our CEO got hitched and I bought a house! I’ll be documenting my experience Q&A style on our blog every Monday for the next five weeks. Let me tell you, it’s one thing to write about real estate and mortgages, but it’s quite another to actually buy a house and get a mortgage!